Customize and theme multiple aspects of your chat widgets to match your site’s look and feel when using either of our Premium plans. Change the theme color of the live chat button and widget, move its position (e.g. bottom left or bottom right), customize the font color, etc. In addition to these features, you can upload online and offline live chat images for use in your site’s Header or Footer, include a link somewhere on your site that opens the chat form in a new window or that pops up in its location (more details about this here), and advanced users can override default CSS for the live chat button and widget for more control. 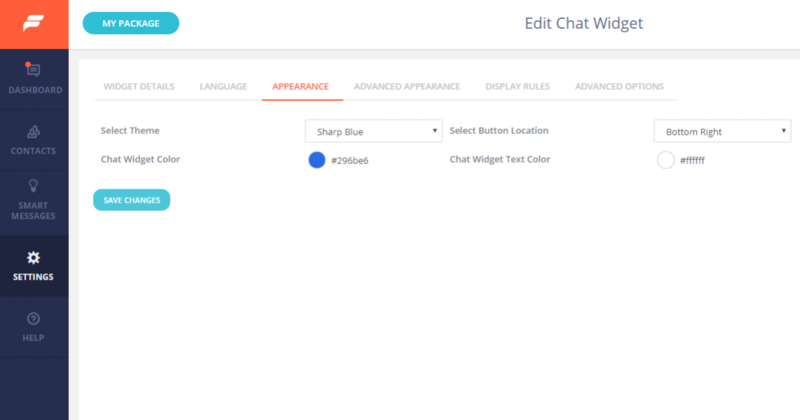 Below you’ll find multiple screenshots showing just some of the ways you can customize your chat widgets and the flexibility this feature offers via the admin panel. It also works well with our customization and language support options which come with either Live Chat Premium plan as well. If you still have questions, catch us online or email us at support@formilla.com and we’ll get back to you right away. Multiple chat form examples with different theme colors.